It was Mrs. Ruth Salo the Gibson Branch librarian speaking to Gary and again she was instrumental in vectoring a perceived interest of his, directing it in a positive direction. Earlier having introduced him to The Chabot Observatory and his visual transportation experience to the planet Saturn via the telescope, this time approaching him with an opportunity to explore another out of this world realm. 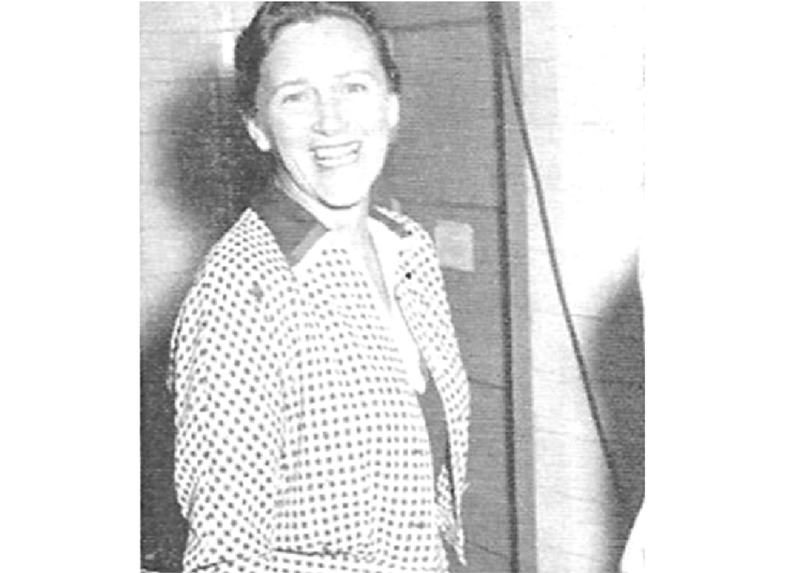 Her husband Jeff was a physicist at the University of California Radiation Laboratory in Berkeley, known as the Rad Lab. 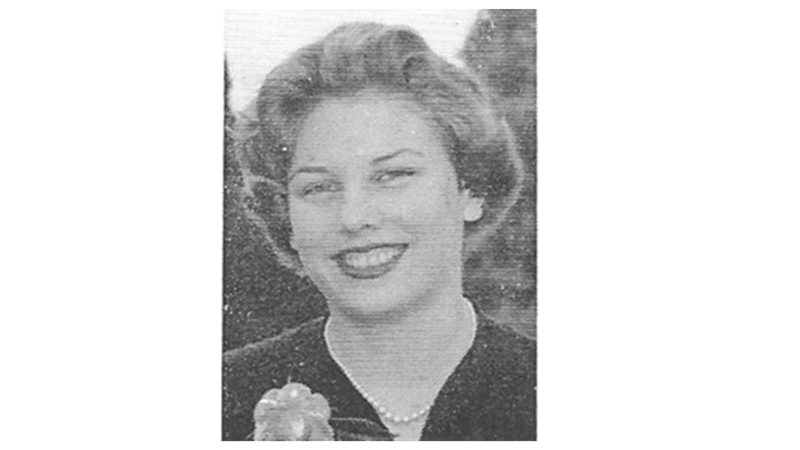 The Teen was aware of Mrs. Salo husband’s eminent occupation, his only youthful contact with the elder Salo was the unforgettable Chabot Observatory excursion. The librarian presented the specifics and the question. The invitation was for Gary to accompany her and Jeff to a private library in Berkeley to assemble with an enlightened group of professionals whose engrossment was the genre of science fiction. 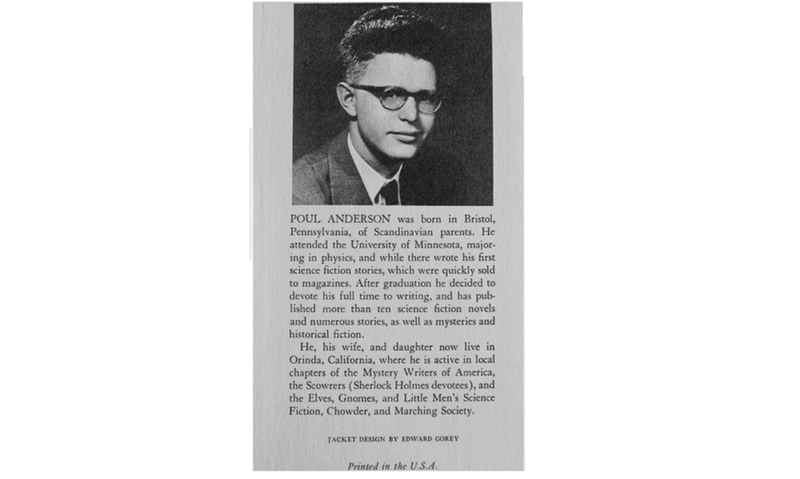 The like-minded group meeting on a regular basis at a private library on Telegraph Ave.. the cadre of those in attendance included applauded authors such as Rog Phillips, Poul Anderson, his wife Karen and Fantasy and Science fiction Magazine editor Tony Boucher. 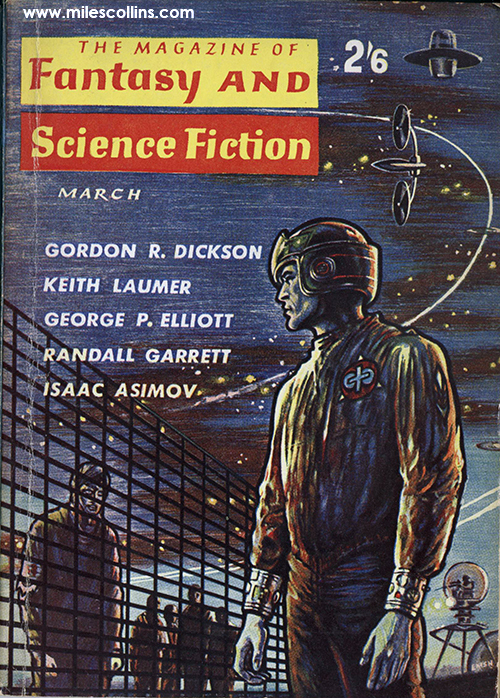 Gary having thrived on the literary conceptions of Robert A Heinlein, Isaac Asimov and long list of SF authors and having a discovered Poul Andersen years earlier. To experience a celebrated association of such distinction was incomprehensible to the fifteen year old. His answer to the question was a resounding yes, he would very much like to attend. 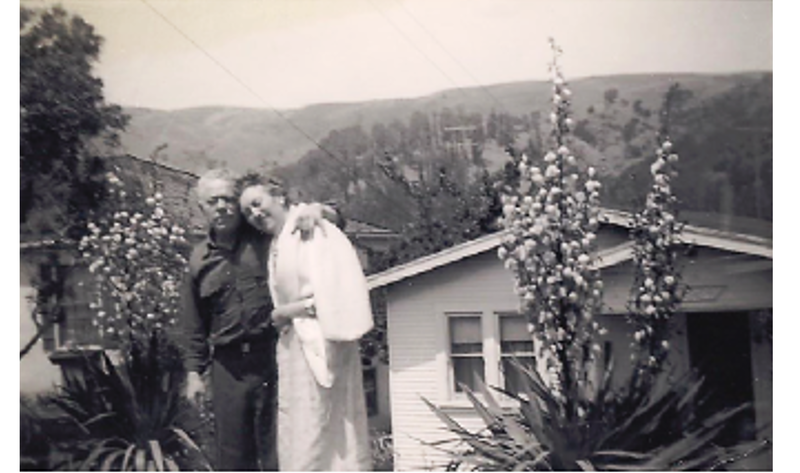 Their Berkeley destination was the Garden Library in the 2500 block of Telegraph Ave. Once arriving Gary discovering he was the youngest in attendance and was somewhat ill at ease among this elderly group. The gathering possessing an organizational name, ” Elves’, Gnomes’ and Little Men’s Science Fiction , Chowder and Marching Society”. The sobriquet displaying a knowledgeable wonderment, furthering Gary’s conjectured intrigue about the group. The youth seated among this celebrated faction, the Salo’s introducing him to those celebrated appropriators of inventive science. A sense of ambiguity soon faded as the guest speaker arose, a noted physicist, standing before a chalkboard, clearing his throat, beginning a discourse on a topic of interest to those in attendance, the yet to be explored world of Hyper-Space. The hypothesis of the lecturer’s address resonated with the group and questions from the assembly abounded, espousing a diversity of ideas from those attending. Gary was astounded by the discussions, but concluded that the futuristic resource’s found in the novels were an exponent of these and other carbon meeting. The young man acknowledging his noesis was probably lesser than the attendees, but was vehement in his attention and about being present. 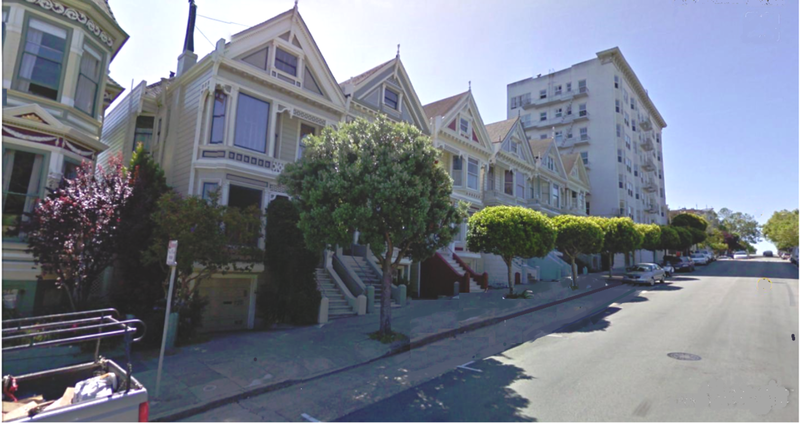 It was the meeting after the meeting, the Teen sitting in the back seat of the car expecting a return home, but instead noticing the transport traveling north to the vicinity of Shattuck Ave. The vehicle coming to rest at a seafaring decor Night Spot. It was late and upon entering finding the atmosphere of the dining and drinking enterprise vacant of all but a few patrons. Once seated the conversation wasn’t as Gary expected. 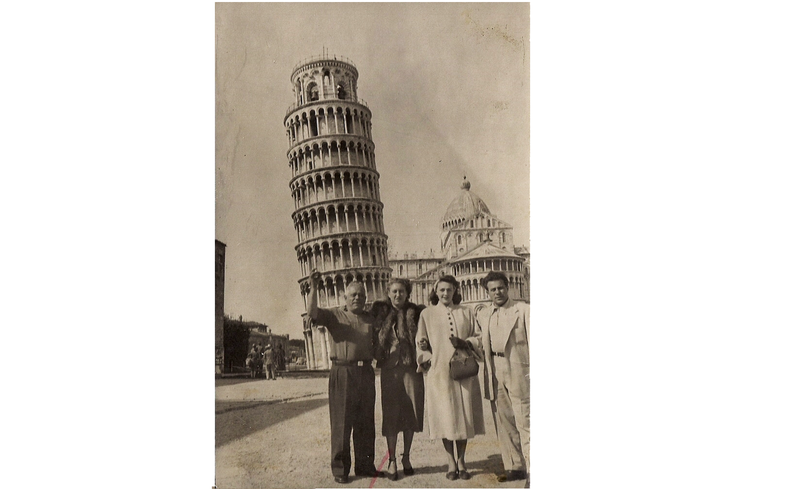 There were seven people seated at the table, Poul and Karen Anderson, the Salo’s, himself and another couple whose name had slipped by. Anticipating a discussion of allegory science, or subliminal encounters of another world, subject matter that interested a fifteen year old, but instead the conversation was a political discourse of whether or not President Eisenhower would seek a second term. The disappointment of the conversation or lack of it was over shadowed by just being in the presence of Poul and Karen Anderson. 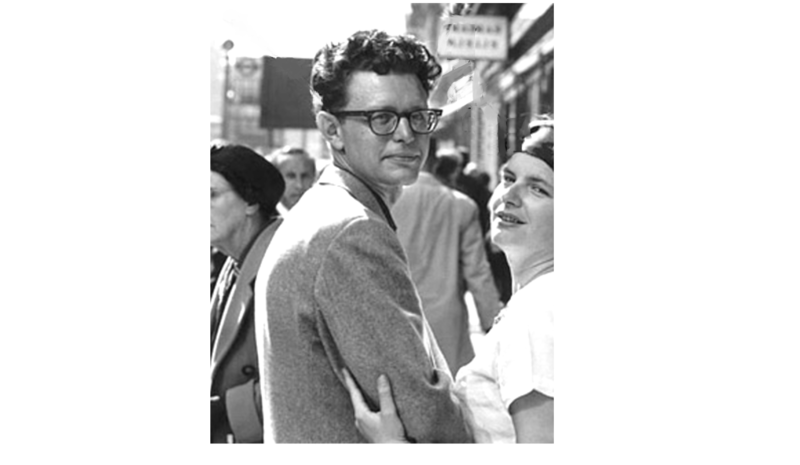 The Anderson’s presence instilling the young observer with a glowing presentiment of sufficiency, the couple of living a life in a world of their own conceptions. Gary realizing he could attempt to relate this analogous moment of his life to friends, but it would be ineffable to them. When the Salo’s asked the inevitable question about his experience that night and if he was interested in continuing to attend, his answer was a resounding yes and would desire to become a regular guest or member. Little did they realize what revivals inside and what was unsaid, the inner feeling of satisfaction that comes with associating with such a celebrated group, Gary concluding that fame and humility can be compatible. Gary having come to the conclusion it was time for his plan to come to fruition. The past month the teen spending considerable time at Ed Fletcher’s Signal Station on Mountain Blvd implementing a strategy to demonstrate his usefulness. The youth volunteering to participate in the automotive washing, waxing, checking oil levels, cleaning windshields and at closing time working with Ted to mop the service bay area with solvent and spread and sweep it with the absorbent. Once again the teen approached Ed about employment and once again hearing the disdained answer, the station didn’t need additional employees, but this time it was said with an asterisk, Gary detecting a hint of possibility in the owner’s voice, followed by a wavering discussion. Gary was elated, a meaningful job, even if it wasn’t a scheduled position but still an opportunity to expand his horizon and more important a source of fiscal income. The station would pay him a dollar an hour on an “as needed basis”, a start and an assurance of some income even if not a steady scheduled hourly employee wage. Weekends were busy, the stations neighborhood clientele would call scheduling an appointment time for hand washing and sometime the time consuming waxing. Gary was appreciative of the experience and of course the financial addition, but the biggest benefit was inaugurated after closing time. Ted’s 50 Olds Convertible with chrome endowed instruments, plush leather interior, presented a luxurious effluence, the rear end poised with an air-lift enhanced rake, capped header pipes protruding just beneath the doors, the automotive treasure giving the impression of a sprinter on the starting blocks. Ted having the 3.8 inch cylinder bore increased adding oversized pistons and replacing the two barrel carburetor with a four, the 303 cubic inch engine now 324 and the 136 horsepower upped to almost 200 HP. The night air whispered the fragrance of the damp foliage from the wheat field located a quarter-mile down Mountain Blvd., across Holmes Ave. The Olds, top down and a clear pristine night presented a star filled decorative cover as Gary sat inhaling the atmosphere of his surroundings. Across in the driver’s seat sat Ted, directing their travel toward the short divided roadway section approaching the Oak Knoll Naval Hospital gate. Gary inquired as to destination and Ted related they were on their way to Jerry’s. 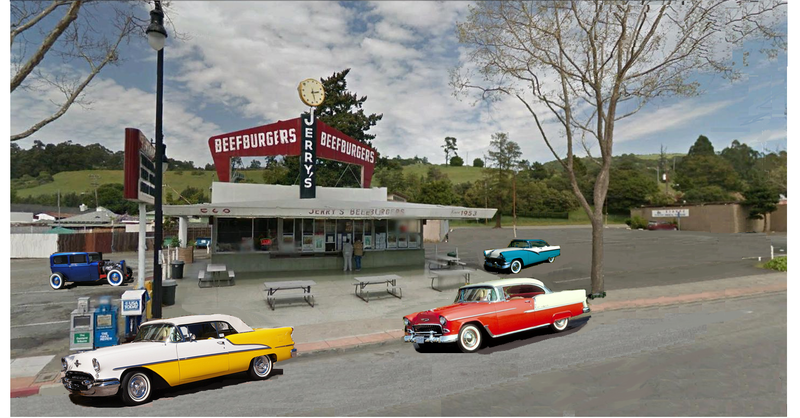 Jerry’s was a 16 cent hamburger drive-in located at 560 MacArthur Blvd just inside the San Leandro line. It was the spot for the teen-set to congregate and anyone who was anybody made their appearance, sporting the latest in automotive enhancements. The Olds traveling to 98th Ave. turning left onto Stanley Ave which merged with Foothill, noted by local law enforcement as the clandestine drag strip, because of the late night automotive duels. Victoria Ave. connected the back way into Jerry’s, preferred by the youths because of busy MacArthur Blvd. 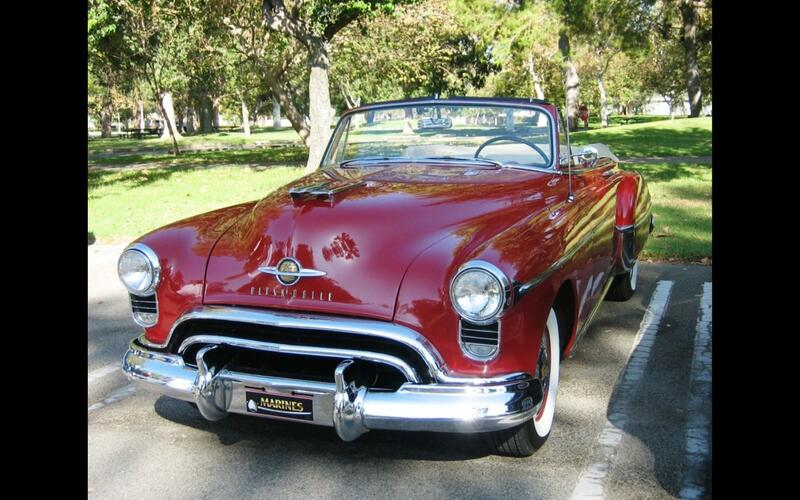 A loaded and ready 1950 Olds. 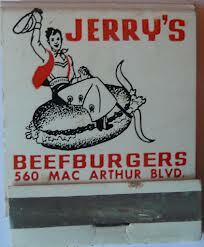 The 16 cent beefburger and 10 cent fries made for a parting snack as the two pulled on to MacArthur. Gary expecting a right turn to return to Mountain Blvd. on 98th, but Ted turning left, heading towards East 14th St., the four lane thoroughfare to downtown Oakland, the tracks still remained but no more A train on E.14th journeying a direct route to the high-rise of the city. 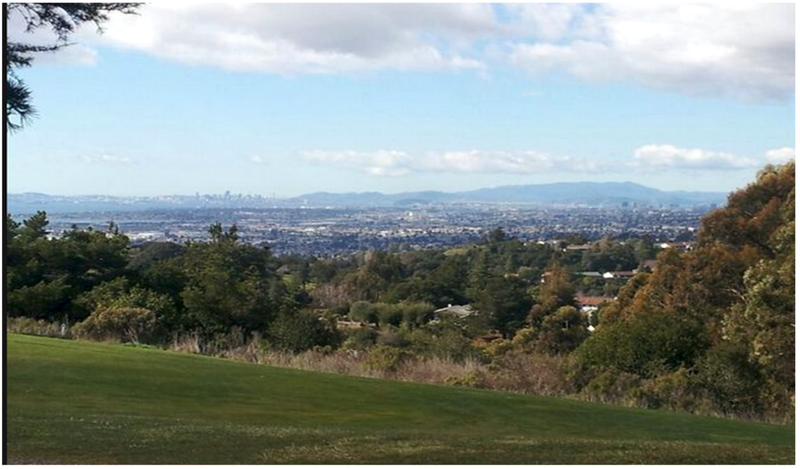 and the Bay Bridge to San Francisco. A stop light at the intersection of 90th found a 1951 Ford pulling up beside them. A screech of tires and the Ford darted down the black top giving notice of its 100 HP. flathead V8. Ted eased up beside them at the light at 82nd, the two glancing at the Ford, Gary could see two high school aged teens, but didn’t recognize them. Again a squeal of rubber and the Ford once again darting down E. 14th. The next light found the two cars at 73rd Ave, only this time Ted handed Gary a station cloth for wiping oil dipsticks, he knew what it was for, both opening their doors just enough to reach down and unscrew the now hot removable caps from the header pipes. The Teen could feel the change of presence hearing the deep-throated sound emitting from the header pipes of the halted Olds. The light changed and with the accelerator floored, a booming bellowing roar accompanied by the sound of spinning tires filling the air, the Olds convertible screamed across the intersection, a trail of black tire imprints painting the pavement, its four barrel carburetor whooshing, as air filled it four lungs and the echoing sound of the headers reverberating off the surrounding buildings. Gary catching a quick glance of the two teen in the Ford, their jaws having dropped and a look of perplexity endorsed their expressions. Continuing to accelerate, Ted making the decision to shut it down, the header’s still bellowing a throated compression back off call before turning on to Havenscourt Blvd finally pulling over to still the authoritative sound, the two re-capping the headers. The ride home was unspoken save the music on the radio, Gary sensing that Ted may have had second thoughts about his action, the possibility it could have ended with unacceptable consequences may have crossed his mind. Gary concluding that fast cars make for envisage decisions. 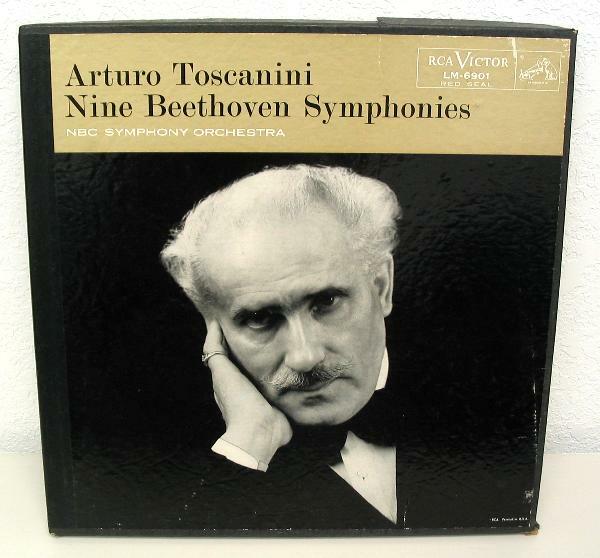 Arturo Toscanini – Nine Beethoven Symphonies – 78 rpm recordings. Gary’s friend Hank Ball on the phone disclosing he had just bought his first 45 rpm records. Gary was impressed, the last single record he had purchased was a Bill Haley and the Comets 78 rpm recording of Rock Around The Clock for the families 78 rpm record player. Gary immediately on his way to join Hank, gazing for the first time at a 45 rpm phonograph record, his best friend having bought the current hit Don’t Be Cruel by the singer of heartbreak Hotel, Elvis Presley. The boys finding it hard to believe Elvis actually had two hit songs in the top ten on one record, Don’t be Cruel and the flip side, Hound Dog. Hank having even a bigger surprise, Gene Vincent’s Be-Bop-A-Lula, the song rumored to have that forbidden F word in the lyrics. Both teens listening intensely and with acute affirmation, agreeing they heard the word, or so the two surmised. 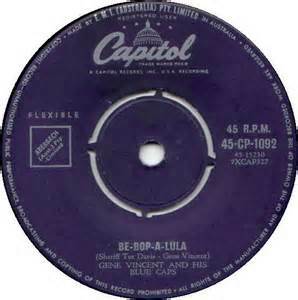 Be-Bop-A-Lula – the song with the hidden F word in it. Gogi Grants number one hit. Gary convincing his parents, they (meaning him), needed a phonograph that could address the new 45 and 33 1/3 rpm records. Gary’s Dad giving an approval, purchasing a new record player, Gary somewhat disappointed because that was just what it was, a no frills player, a small manual portable with a 3 speed turntable and a unimpressive five-inch speaker, not very dynamic but it was a beginning. 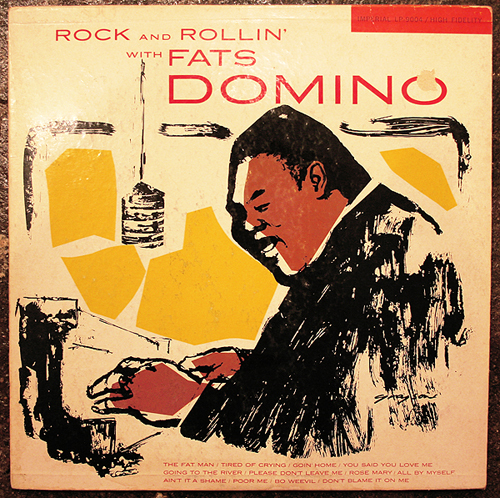 The new player giving Gary a reason to visit the Castle Music Shop on MacArthur Blvd, the youth returning with his first 33 1/3 rpm album, Fat’s Domino’s latest album “Rockin’ N Rollin with Fats Domino” containing all his past hits including “Ain’t It A Shame”, but not his latest, “Blueberry Hill”. The Teen concluding, with advent of the 45 , 33 1/3 rpm and High Fidelity the era of the 78 rpm recordings was coming to a conclusion. Gary’s extensive collection of 78’s included many classical recording belonging to his cousin Bud O’Toole, who had left them in his possession for safe keeping during his varied military post in the Army. With his cousin Bud’s and Gary’s parents record library he soon added an additional listening realm to a world that could transport you beyond reality. He took satisfaction in experiencing Beethoven’s Nine Symphonies conducted by Toscanini, works by Tchaikovsky, Wagner, Richard Strauss and completely applauded Respighi’s The Pines and Fountains of Rome. Music was like his piano, a friend, visiting him on records or the radio, always a promising and fulfilling companion. 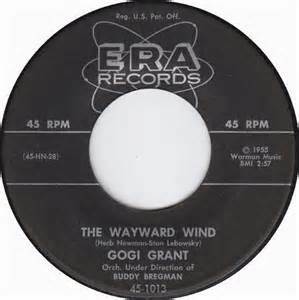 Listening to the strains of the Wayward Wind endorsed by Gogi Grant, Little Richard’s Long Tall Sally or a rendition of the jazz hit Lullaby of Birdland, music emitting all the compassion and emotion for those who understood its language and were receptive to its invitation. The San Francisco television station having flaunted it all week, a demonstration of a new accessible feature to the already highly publicized acclaimed High Fidelity, it was called Stereophonic Sound. Gary was curious to how they could broadcast such a sound considering the television had just one small speaker. The night of the exhibition having arrived, the teen in great anticipation tuning to the channel, attentive as the announcer instructing the viewers to retrieve a radio, tune it to their affiliate radio station and place it across the room from the television. Gary completing the directions, the station proceeding to demonstrate the stereophonic sound of various music selections, a person could distinguish between the two communicators and could hear the separation of the instruments. Gary was aware of the principle of stereophonic recording but still wondered how many viewers would envision to having two radios to produce stereophonic sound, knowing it would be just a matter of time when this new technology would be readily available, but it did give him an idea. His idea was a concept, bu one able to become a conception, Gary concluding, it wasn’t stereophonic, but he had separated the sound that emanated from his small portable phonograph single speaker. His sister Nancy agreed, it was unique and he recognized it was most likely one-of-a-kind, maybe the only one in existence, so the teen speculated in this facetious admission. On the wall across the length of his downstairs bedroom, the Youth had mounted a 8 Ft. long 1 x 12 to be used as a bookshelf to hold his 15 volumes of Bowen’s Dave Dawson series and many other hardbound books he had accumulated. Gary utilizing the bookshelf to hold two length of six-inch diameter stovepipe he had found in the garage, then connecting the two sections of pipes with a tee. He removed the five-inch speaker from his phonograph, extending the wires and placing the speaker on the floor beneath the bookshelf. Placing a length of six-inch diameter stovepipe over the speaker, running it up to the shelf attaching it to a tee connecting each of the horizontal pipes on the shelf. With additional elbows facing toward the room at either end of the pipes. The results culminating with sound expedited from both ends of the bookshelf via Stove Pipe. Gary concluding, stove pipes and a 5 inch speaker were just part of the world of inventiveness coming to fruition to witnessed the sound of music. Mike and Kathy Marquardt are twins and classmates at Castlemont having attended six years of Burckhalter Elementary School and three at Frick Junior High with Gary. 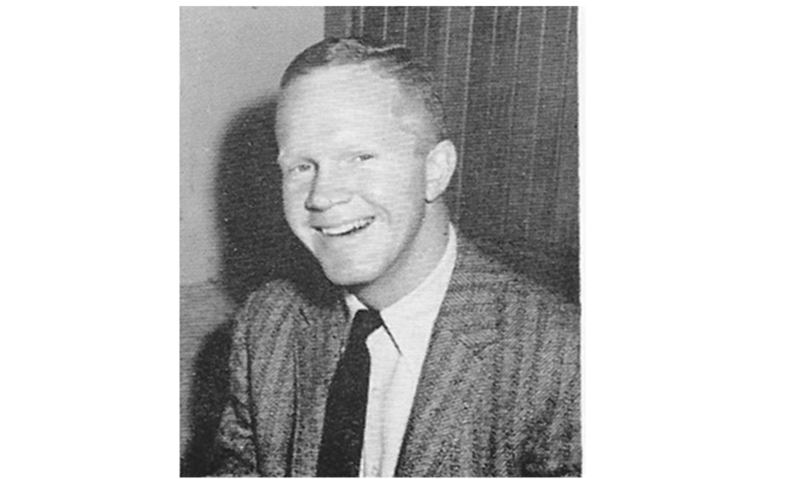 He would occasionally address Mike at school, but like many of his past classmates their studies and social paths seldomed crossed, especially now with upwards of three thousand students at Castlemont. Gary just happened to overhear a conversation that drew his attention, Mike was speaking about his new high fidelity stereophonic system. The conversation stirring an inquisitive interest, Mike taking notice of Gary’s interest, recognizing his curiosity, inviting him to experience the sound of his new acquisition. Gary arriving at Mike’s residence, bringing a new 33 1/3 rpm recording of Respighi’s, The Pines of Rome, anxious to listen to the new system. It became apparent Mike was curious why Gary brought the recording , the visitor explaining that Respighi and especially the Pines of Rome’s finale was stupendous, with the orchestrated sound of marching legions, bellowing of the French horns, trumpets and the cascading drums and bass and would provide a great demonstration of the stereo. Not hesitating Gary asking Mike to play the finale with some volume, the results were unbelievable, it was discernible Mike didn’t give his system justice, the sound literally shook the house, reverberated to a point that his room’s closed-door began to open. The door was slightly ajar when it burst completely open to reveal an imposing figure standing poised with a look that could have silenced an explosion, it did silence the music, it was Mike’s Mother with a message concerning the volume. Unknown to Gary until after his arrival was that Mike’s old phonograph system was for sale, immediately Gary’s interest peaked. Mike reeling out his old system, situated in and on a 3 ft. high red metal cabinet on rollers. 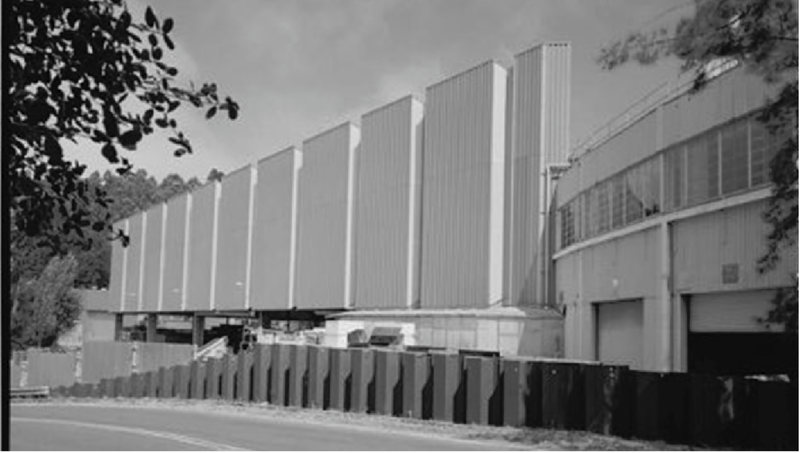 Beneath the vacant top of the stand was a shelf containing the biggest amplifier Gary had ever seen and below inside was a large speaker enclosure. Mike explaining, the vacant top was where his turntable use to resided, having kept it to use with the new system. He further explained the amplifier had come from a Wurlitzer Juke Box as was the mounted 15 inch JBL speaker. He went on to explain, the amplifier would require a Shure Cartridge and Needle installed in Gary’s old turntable arm and that it was inexpensive and easy to install. Mike Marquardt’s Wurlitzer system having found a new home. 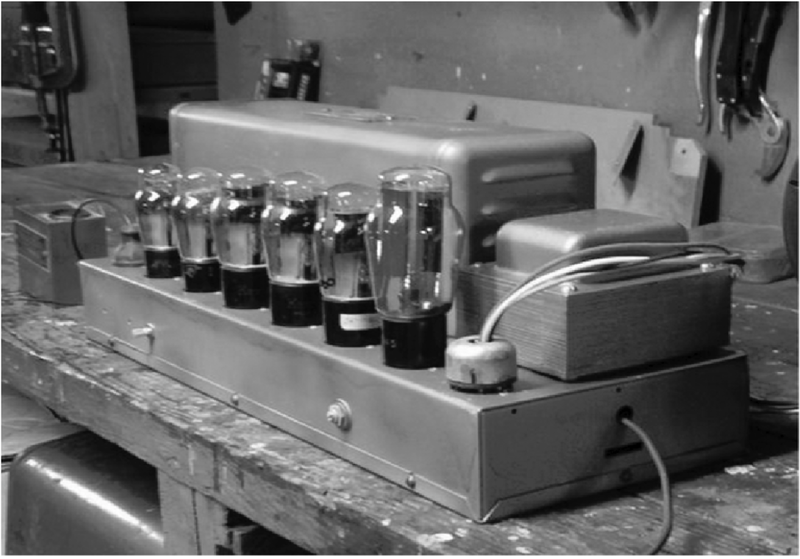 Gary’s new Superheterodyne amplifying acquisition with its four high-powered 6L6 push-pull pentode tubes had animating results. When the system was placed on the porch outside his room, facing Mountain Blvd., he could turn up the volume, the sound would reverberate through the 15 inch speaker with it 3 1/2 inch voice coil, cascading across the Mountain Blvd toward the hills, then the phone would ring, his mother answering, then making her appearance, relaying a neighborhood request, to turn it down. Gary reasoned, if silence is a void, music is life. Pioneer, once called Pioneer Station in another era. The journey from Oakland to Jackson the county seat of Amador County, situated in the heart of the mother lode , a gateway to the gold country mining claims filed by the prospectors of a bygone era, the drive taking about 2 hours. Gary recognized the stops at the real estate office in Ione, a small hamlet on highway #88 just before descending into Jackson were more than coincidental. The family having tentatively come to an agreement on a piece of property in a recently opened section of real estate 16 miles east of Jackson on #88, the highway through Kit Carson Pass named after the icon of western history. The ensuing journey east with its rising elevation and the majestic tree shrouded Sierra’s painting a picture, the roads winding upward travel making the two lane highway seemed longer than 16 miles. 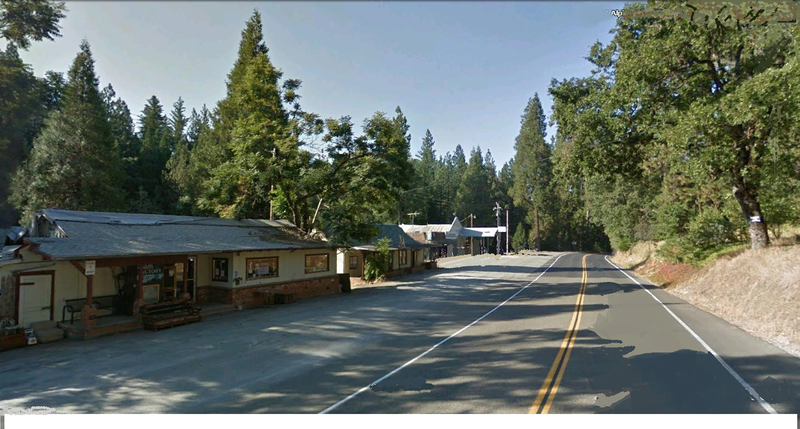 Their destination culminating at what the teen consider a wide-spot in the road, the town of Pioneer and from all appearances the village looked to be nothing but a way-stop for those traveling to and fro from the high country of the Sierra Nevada range and eastward on to Nevada. The roadside business encompassing a curio shop, service station, small general store on one side of the highway and on the other side the tired remains of the old Pioneer Station, now an adult beverage dispensing establishment and a small US post office. The site the youths parents acquired was about three miles from the stagecoach-stop of a town, in a secluded section bordering on what was said to be federal land property. The family meeting a representative of the realty company, Gary watching as the real estate agent paced off the property boundary, observing as the man journeyed over the ground covered blanket of pine needles, residue from years of shedding, the agent marking trees to designate the property line. The observant teen pondering a question , when a professional survey was performed would the results be within reason of the tree markings? He wasn’t alone with his questioning, his Dad getting assurance from the agent that he had done this before and that his marking would pretty much hold true. Gary very much aware of his Dad’s dream and long time desire to build a cabin retreat away from the bustle of city life and especially the throes of its populace. 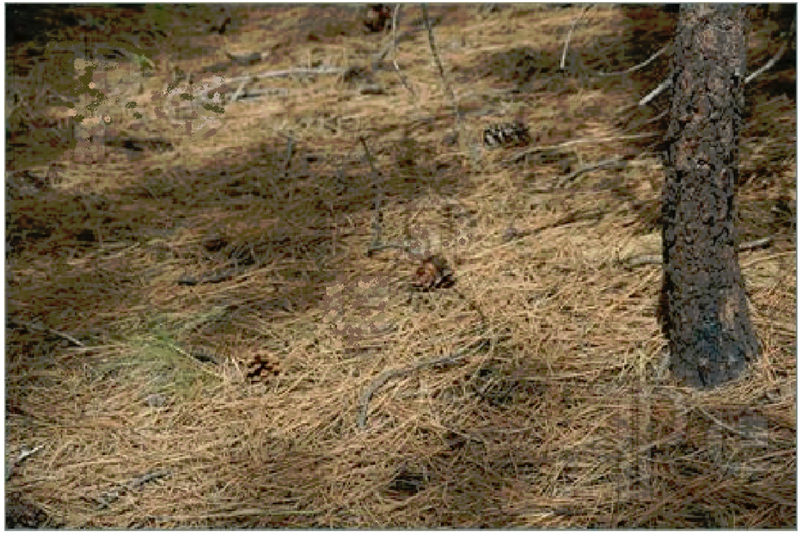 Standing before his new-found surroundings the young man inhaled the ambiance of the secluded area, the madrone, pines red cedar and douglas fir tall, sentinels all standing watch over their domain. He perceived the gold country lore, knew of the history, the past invasion, the many who had humbled themselves beneath the wilderness with its forest canopy, the youth was ready to renew the effort of those before him and search out its hidden treasure. One could feel the stillness and solitude of this wilderness, an atmosphere of isolation, the property without amenities having no source of electricity, water, or sanitation facility, its only access a narrow dirt road bulldozed at some point in history. There was a sense of adventure, an ere of the previous inhabitants of a by-gone era, those itinerant individuals of a hundred years ago prospecting, laboring for a bonanza to provide a station in life. The introductory weekend finding the family spending the night in Pine Grove, returning in the morning for an agenda of exploration and discovery during this initial visit. Upon discovering what appeared to be a widen path or road nearby, following it down they came upon the remains of past mining sites and a most needed treasure, a free-flowing water source just a quarter-mile away. A spring running out of an old abandoned mine on the side of the hill, someone in the past having positioned a pipe into the flowing water, the pipe extending out over the mines tailings and below a person could kneel beneath the available flowing water exiting the pipe. Gary sampling the very cold water, discovering it having a mineral taste, the family deciding to supply their own drinking water, but there would be other uses for mother nature’s provision. The accommodation of temporary sanitation would be remedied, but electricity was out of the question, Gary’s Dad’s improvement agenda would be measured in years rather than months. The family’s newly acquired project was somewhat aloof, there being no time-table or schedule, a weekend visit at the most once a month or six weeks during late spring thru early fall, the winter months prohibitive because of the snow. Gary helping his dad prefabricate a large shed at the family’s home in Oakland, its purpose was to house tools, a sheltered sleeping area, when completed to be transported and erected . It was a beginning, Father and Son, the two venturing to make a wilderness inhabitable, Gary’s sisters and mom joining the two on many occasions. 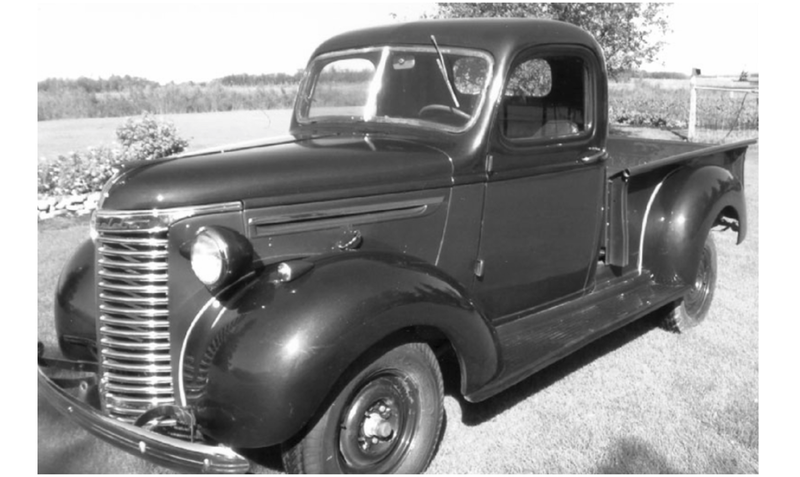 A recently purchased 1941 Chevy pickup soon found added responsibility with its new family. It wasn’t a street attractive pickup, but working truck with a heavy-duty bed and a four speed non synchromesh transmission giving it stature in transporting material to the sierra site. During a project they needed some additional material deciding to check out a small lumber yard at West Point some twenty miles distance. Just after entering the turnoff on State #26, Gary’s dad halted the pickup on the side of the country road, getting out, walking around to the passenger side, motioning for the youth to slide over. Gary somewhat perplexed couldn’t believe what was verbally delivered next , “It’s your turn to drive”. The youth was silent, for the first time in his life he didn’t know what to say. Gary slid across the seat, posturing himself behind the steering wheel. His Father starting to explaining the how to release the clutch and shift the gears, Gary never heard a word, he knew the shifting pattern and how to double clutch when shifting gears in a non-synchromesh, having been a student of observation for years, his truck driving Dad being the visual instructor. Easing the clutch out, the movement began, and with it so did his driving experience, his dad nodding an approval. With his first time driving experience under his belt, it would be time for a learners permit, the youth soon recognizing a imposing responsibility comes with being in the driver’s seat. Gary experiencing a hundred and eighty degree difference between first semester english teacher Larry Darling and second semester english teacher Marian Petray. “Oh what a tangled web we weave when first we practice to deceive”. Sir Walter Scott assertiveness didn’t have high school studies or homework in mind when he penned the famous quote. The circumstance that occurred in the second semester weren’t drafted as a plot to deceive, but more of a happenstance, because deception is planned and calculated or so thought the fifteen year old Castlemont High student. A convenience was a more descriptive designation of why this had transpired. With high school studies, assigned homework, the pursuit of employment, a growing list of priorities confronted him, This event made Gary realizing it was time to organize his activities. Mr. Darling’s english class besides being his first period and home room was unlike any class the young man had yet experience. Mr. Darling was also Castlemonts drama instructor, his classroom being a stage and the students all having walk on parts. The Instructor was very demonstrative in class subject matter and presentations, one could find the same small elite group of students participating in class discussion and response, Gary having a suspicion they were all auditioning for future drama parts. The English assignments were always brief, involving little or no homework. The teen attributing the assignment leniency to Mr. Darling’s overwhelming commitment to the drama department. Gary’s optimism concerning Mr. Darlings class was not underestimated, it was more of a drama class, with readings of literature and actual drama enactments rather than productive english grammar instruction, all to the delight of the students. The second semester of english discovering Mrs. Petray class a totally different portrayal of studies. Gary having noted from his friends Hank and Don about the reputable Mrs. Petray and this very thick, boring, classic literature novel assigned as required reading and discussion for her class. 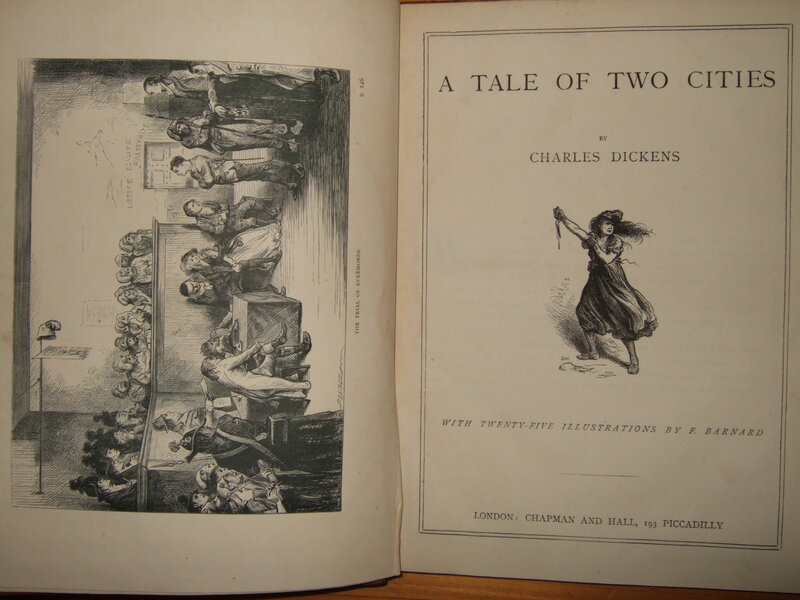 When handed the book, Gary was astonished, A Tale Of Two Cities by Charles Dickens, the classic that frequented Mrs. Funnells bookcase in his 9th grade junior high Latin Class. Gary, during latin studies having taken the liberty to borrow and read “Two Cities” and “David Copperfield” which also was occupying the bookcase next to his desk during that final semester of latin. Mrs. Petray was disciplined about the reading, every student required to submit a list of prospective books to read and submit at least two book reports for each report card period from their list. Gary being an avid reader, concluding the english class requirement wouldn’t be a problem, but soon discovering other studies occupying a good portion of his school evening homework time and with weekend activities he found he had the desire but not the time to readily explore the world of literature as before. The Youth was normally punctual with his book report assignments, but on this occasion overlooking an assignment due date, discovering he failed to finish the book let alone write a book report for Mrs. Petray’s class which was due in the morning. This the first time but not the last that he would call upon innovation to prevail to tender and turn in a synopsis of a novel to the tenth grade english teacher on the due date for grading. It was only later when Mrs. Petray approached Gary, addressing him about scheduling a conference. The day arriving, Gary entering the vacant English Class trying to conceal a look of consternation as he approached, but it was futile. He could discern from her expression, his well disguised work of convenience was finally exposed. She was subtle, complimenting him on his well written book reports and then the subject turned detrimental. She revealed, while grading student’s book reports, she would sometimes find interest in a novel and a desire to read it, but discovering the last book Gary had written about was not to be found, adding that even with continued research, to the point of inquiring at Oakland’s Main Downtown Library, was to no avail. She confirmed what Gary suspected, having discovered, some of his book reports were factious. Gary’s literary documentation was always very inclusive listing the publisher, copyright and revision dates, author, but there was a truism, the arresting storyline always regarded something the aspiring author desired to pen in the future. Mrs Petray admonition was stern, but a commiseration filtered through, complimenting on his captive pretense, but giving no quarter to his endeavor. The Teen was not consumed by the discovery, discerning this would be his final high school english class, an enrollment in an alternative journalism class and the school newspaper where a belletristic talent would be welcomed. Gary reasoned, Sir Walter Scott was correct, deception can be self-inflicting. 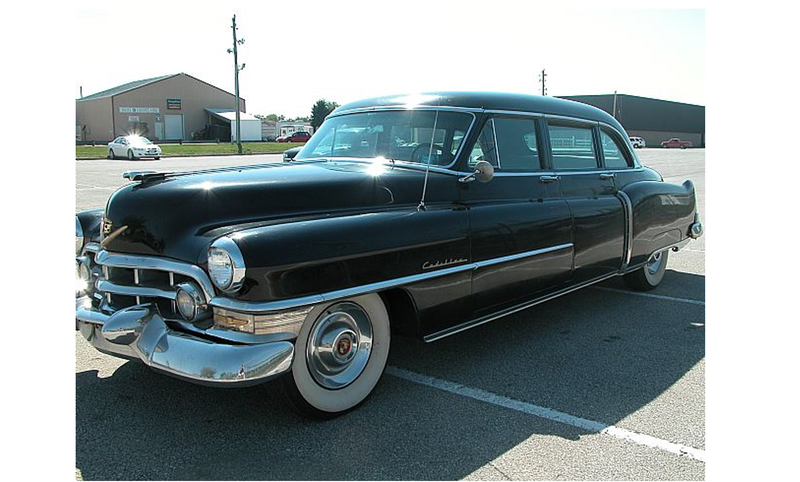 It was a Sunday and a San Francisco phone call served the Willson’s noticed that the 1949 Cadillac Fleetwood would soon be arriving with Gary’s Aunt Loretta, Uncle Dino and their array of the pilferers of plunder. Dino Tognozzi seldom traveled without an entourage composed of a group representing the menagerie of patrons from his Van Ness Ave drinking establishment, Dino’s No. 13 Club in San Francisco. Uncle Dino not only provided the food, but his group sometime glisten with enlightened entertainment too. Dino was an excellent Chef, preferring to import his own cuisine when visiting, the San Francisco cartel would always provide a pasta appropriation, but that’s not what delighted Gary and his sister’s, it was the imported soiree of luncheon meats, the array of cheeses and the ciabatta, baguette, including penelle breads. To the young family who dwelled on tuna fish and peanut butter sandwiches for their school sack lunches, this was a gourmet experience. It could be said as was the quality so was the quantity, upon the group’s departure a host of remnants remained for lunches channeling into the next week. Gary’s mother was dismayed the first few time the guest arrived, having performed the hostess duty preparing a large Sunday afternoon meal as was the tradition in the Willson household, only to have it displace by the culinary celebration arriving from across the bay. Gary and his sister’s were never disappointed over the adjustment in the Sunday afternoon menu, looking forward to a gourmet surprise..
Gary having been privy to his parents discussions concerning Dino’s financial stability, aware that Dino own a Villa in Montecatini Italy, San Francisco investments properties and was acquaintances with the Iconic San Francisco Alioto family. 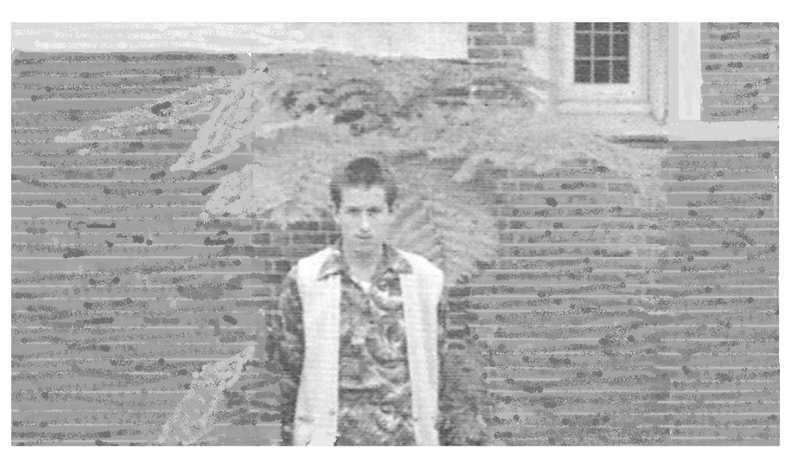 The teenager always picture his Uncle as Chicago underworld figure moved west, although he was from Detroit, mainly because of his Italian appearance, broken English and the association with the Alioto’s, who have Silesian ancestry, but to a teenager it was more like fantasy speculation. In addition to his Aunt Loretta, Dino’s entourage includes two of the regulars, Chief, a retired Naval Petty Officer whose appearance and size made him suspect as a bouncer, but was very congenial when visiting. Chief would often visit a friend at Oak Knoll Naval Hospital a quarter-mile foray during his stay. 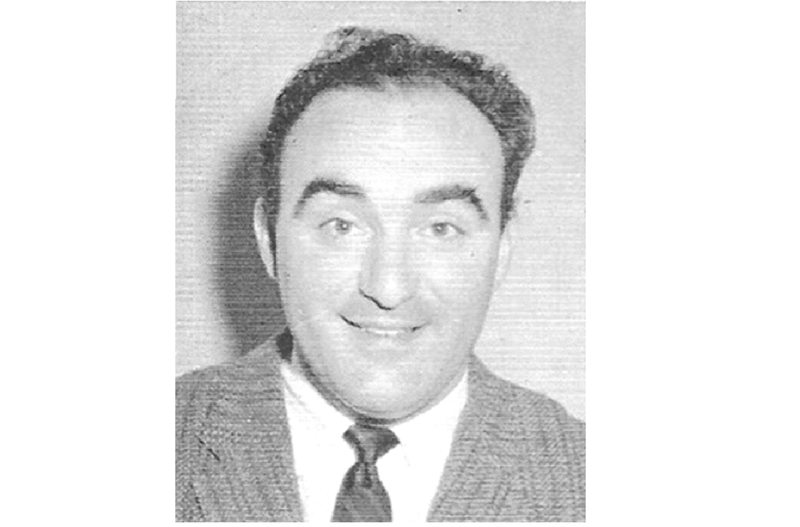 The other regular being Dave McCurdy, a pleasant-looking somewhat elderly person, who sometime tended bar but also accepted most of the business operating responsibility. Another returning visitor was Jimmy, an over-the-hill vaudeville performer from a bygone era. Jimmy was a slight person, his specialty was tap, only most often he was without his dancing shoes having deposited them at the brokerage firm that exchanged money for merchandise, better known as a pawn shop. Gary having witnessed Jimmy’ performance at his uncle’s establishment to the delight of those in attendance, hoofing to supply his need for liquid beverage. The last person of the festive group was a bosom, rather large blonde haired middle age lady with ruby-red lipstick and pancake make-up. Gary making the observation that her appearance was similar to many of the ladies frequenting the saloons in western movies, but he adjudge she wasn’t a movie star, not venturing to question what she did for a living. Dino, Loretta standing in front of Gary’s home. The assembly never stayed long and their presence presented the teen a perspective that abounded in futurity, concluding that to Uncle Dino and the visitors, their Sunday afternoon was an escape from the binding engagement of their profession that sometimes included catering to a communal dissident order who frequented the Bowery of San Francisco’s Van Ness Avenue. Gary surmising that everyone needs a breath of fresh air. 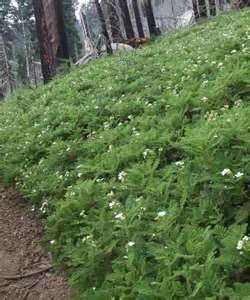 The aromatic evergreen mountain shrubs endemic to California was botanically known as Chamacbatia Foliolosa and was prevalent in the lower Sierra beneath the Ponderosa Pine and Douglas Fir but was commonly referred to all as Mountain Misery. Gary could tolerate the creosote like smell and gummy resin texture foliage, but the adverse consequence of a dry dusty surroundings made for an uncomfortable carnal environment. The only available water for cleansing at the family Sierra retreats prospective building site two miles from the highway #88 way stop of Pioneer was from the free flowing spring exiting from the abandon mine about 200 yards down what was an old bulldozed logging road. These first trips to the Sierra retreat to erect the prefab storage and makeshift sleeping platform were spent clearing the area of brush, mountain misery and the never ending raking of years of accumulated pine needles. Gary and his inherent sister Nancy were on a discovery mission, the two gaining access, proceeding down the once navigable dirt road toward the abandoned mine noticing what appeared to be small storage structure somewhat hidden among some shrubs against the hillside bank, Gary having given it no notice in the past but this time pausing. Approaching what appeared to be a small storage, discovering it was an entrance to a four-foot opening accessing the hillside. Having to stoop, the two entering the hillside cauldron, disclosing what appeared to be the beginnings of a mine, but the recess abruptly ended, but what caught their attention were wooden boxes. 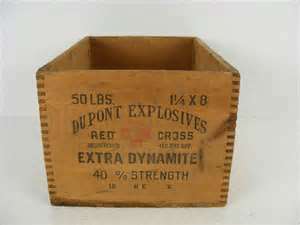 Upon examination finding the boxes accommodating several 1 X 8 inch paraffin covered tubes, Gary immediately suspecting in all probability it was dynamite. Having heard his parents talk about history of this parcel of land and a man named Dozier who was the owner, his family having inaugurated settlement in this area generations ago and was responsible for many of the mining endeavors and still resided in the vicinity. The discovery filed away to highlight this venture when returning, the two continued down pass the spring producing mine, deciding to follow a deer trail and behold they came upon the remains of a cabin, long since removed from service and blending with the generations of wildness surrounding it. 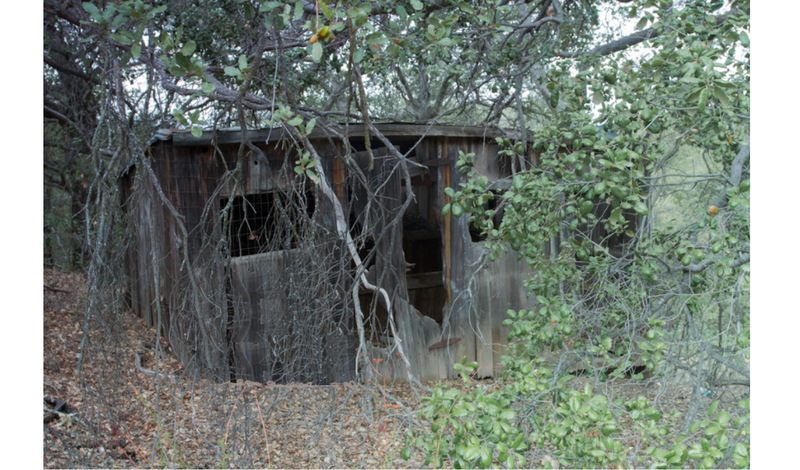 Most of the cabin long departed, but the walls of this domain still at attention, baring witness to its seasoned past. The cabin would be worth researching for evidence of its genealogical past, acknowledging one person’s discard, could be another’s treasure. Gary, the 15 year old optimist knew that the cabin area retained refuse of yesterdays contents, and might be productive. Before commercial logging was instigated, gold was perceived to be the only presence of value in this domain, the teen having learned to recognized the billboard signs of past mining activities. The tale-telling sign of tailings, which can be easily deduced on the sloping hillside from their deposit embodiment. He searched the foreground of the tailing at the cabin site looking for signs of penetrating or collocation activity in the hillside, meaning a possible mine entrance and without a doubt now hidden, but a discovery on this first effort was illusive. On the return back, retracing their ascent, they stopped at their aqueous sourcing mine, indulging in the cool water. Gary again taking notice what appeared to be rails sunken below the water that trailed out of the mine, the rail ties having rotted away in by-gone-years. He removed his footwear and enter the horizontal quarry, without light he could only travel a short distance. The blatant odor and darken dampness accounting from the mine presented a contemporaneous aura of deja vu as if expecting an encounter. He paused straining to visualize what lay behind the dark void, but to no conclusion. Turning about, he would traverse another time with a light source and for now save the flow of his compassion. Gary concluded this first trip revealed the unlimited prospect for seeking the undiscovered. He was well ware of those in the past, searching, hoping for financial redemption thru mineral acquisition. The teen having come to reason, what was meaningful to him was not the expectations but the quest. Benediction comes in many forms, but an unforeseen endowment is paramount, his best friend Hank having acquired a car. This acquisition was actuated by Hanks dad, but the initiator was of no consequence, only the result, transportation was at hand and that changed the modus operandi for the two Teens. Gary never having the responsibility of automotive indulgence soon realized the number one requirement for administering it was a financial one, gas money, the two boys realizing that the internal combustion engine requires fuel and that necessitates monetary substance, which the two having limited resources. 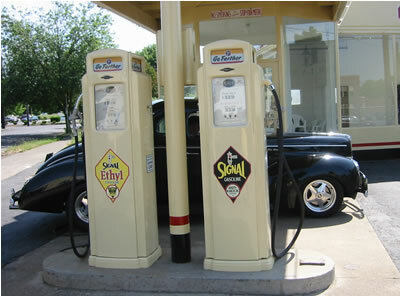 Gasoline was purchased by the gallon and patrons normally would purchase amounts of 5 or 10 gallons, or fill their tank. On occasion it wasn’t unusual to find the two teenagers pooling their resources and buying as little as 22 cents worth of gas, especially after one of their extended trips, commonly known as cruising. Hank and Gary endeavored to hone their sparse skills and with Hanks new-found transportation, extending an invitation to Don Bryant to joined them. 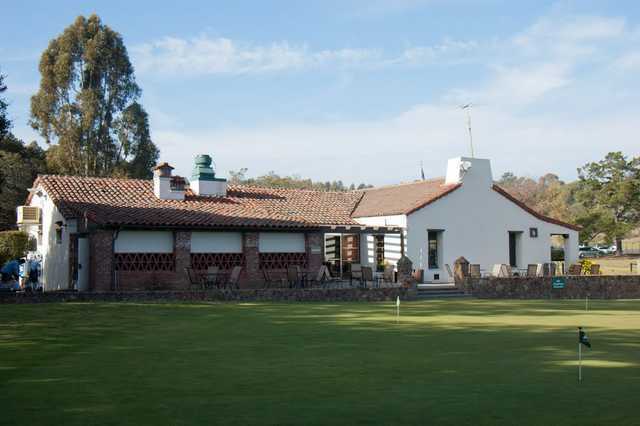 The teens becoming golf enthusiast, but soon discovering that depending on who was behind the counter at the clubhouse could make it be cost prohibiting. Mr. Fry was a stickler for charging the teens if they were to tee off from the first tee, whereas Mr. Ross, who was most congeal , mentioned that because of the lateness of the day they could skip coming by and start at the No. 10 tee out of sight of the clubhouse and play the back nine. Gary suspected that Fry wasn’t privy to Ross’s conversation. Mr. Ross also mentioned that if the teenagers were interested there sometimes was a shortage of caddies and ball retrievers on weekends. Gary and Hank taking heed of two primary opportunities , the first was retrieving balls from the marked driving range area. 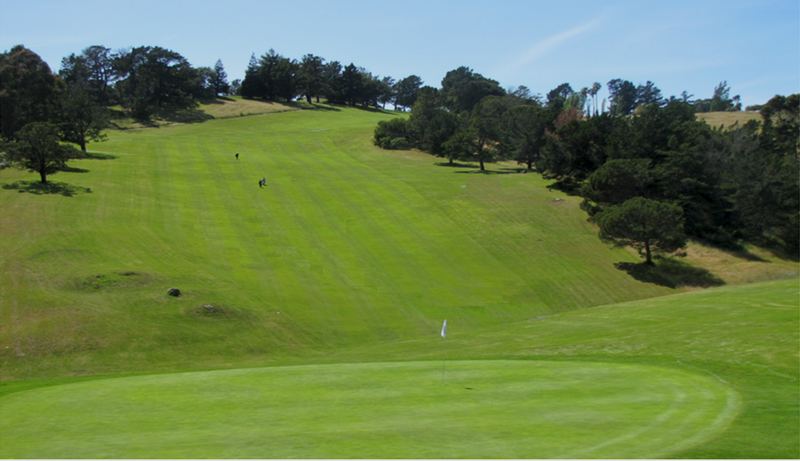 Unlike a commercial driving range, Chabot utilized a hillside marked section of the course and upon contracting buckets of ball for use, the golfer would be responsible for retrieving and returning them to the clubhouse, not always but often the golfer would hire a retriever, but what really interested the boys was to caddy. The procedure involved arriving before weekend tee-off time, signing up on the caddy list and unlike Private or Country Club courses that had a caddy master, Chabot left it up to the person announcing the names listed for tee off times. Gary and Hank soon discovering that because they were the newest and also the youngest they were usually the last to be called as most golfer wanted the same caddy every weekend, but this didn’t defer their enthusiasm. The reimbursement for a three or four-hour round of golf ranged between five and eight dollars, the amount at the discretion of the golfer. 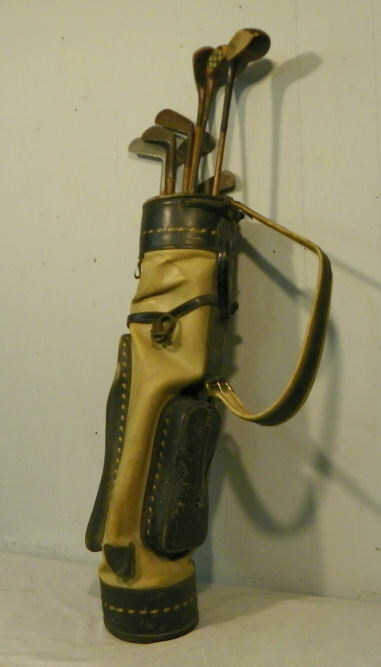 Hank at over six-foot of stature was able to carry doubles, something that Gary never envied because of the weight of the larger bags with many of the weekend duffer having over sixteen clubs but using only seven and soon realized the gratuity sometimes was based on the results of the golfers round. The teen concluding that this new found endeavor was business with pleasure, finding the two raising early Saturday and Sunday mornings to meet the golfing world, Gary reasoning, benediction can come in bounteous contours. Entering the high school vocational shop, the Teen’s first impression was the automotive smell. Having completed a first semester of mechanical drawing, wood, sheet metal, and forge shop, during his 8th and 9th grade’s at Frick Junior High, this class would be his final school vocational effort. Participating in a semester of Auto Shop to familiarize the basic essentials and add to his already acquired knowledge of the craft. Most of the students were underclassmen, but that was understandable as he had declined an earlier opportunity during his first semester at Castlemont to enroll. Gary breaking stride with his college prep colloquium classmate acquaintances and ventured down a different caliber path. The vocational shop requiring work apparel, which each student was required to purchase. After donning the apparel, sporting the Big Ben coveralls trademark, once suited noticing a silence prevailed in the classroom and an atmosphere of professionalism seem to engulf the group. Gary interpreted the outerwear garment would symbolize a pronouncement of assertive recognition. 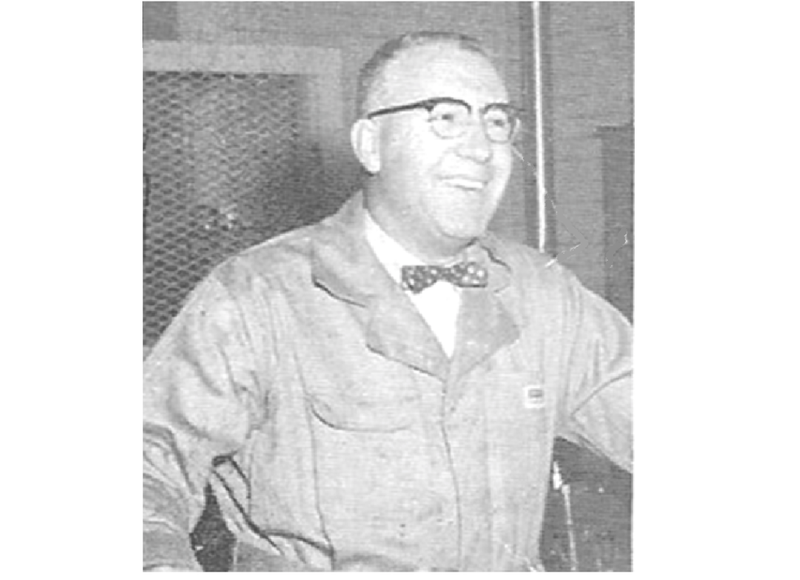 Mr Marinelly’s Auto Shop retained the same odor as Fletcher’s Signal Station, one of oil and the solvent used for cleaning. Like all vocational studies, the course would start with a classroom study before getting the students hands begrimed with the extracts associated with the automotive endeavor, but this was expected. The class instruction started with the principle of the internal combustion engine and then propagated to its exponents, the makeup and function of the electrical system, battery to spark plugs, the fuel system, gas tank to carburetor, the drivetrain and all concerning parts in between. The Teen inhaled a host of enlighten answers to long unanswered questions. It was his first introduction to the stator, rotor and basis of field generation motors and unlike some in the class found everything interesting. It would be six weeks before commencing the everyday hands-on aspect of the class and a disappointment to some. The only letdown inhibited by Gary was that the transmission functions were part of a second semester’s curriculum. Gary was no stranger to laboring on a car, he could readily identify the function of a specific part but now the mystery of its workings was revealed. 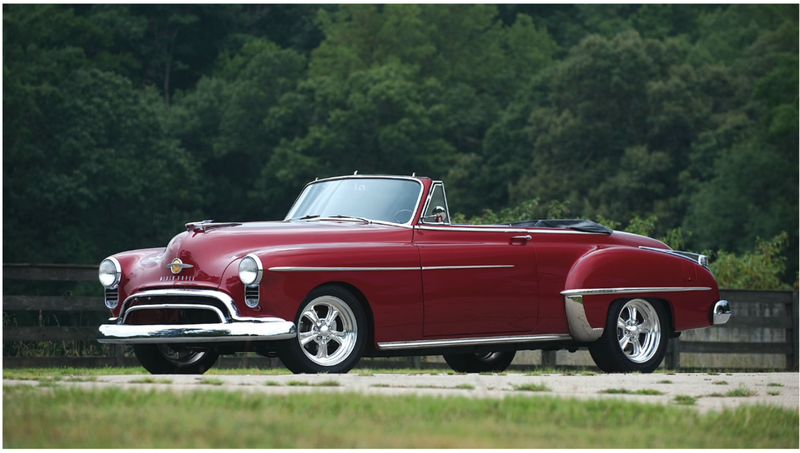 His time at working with high school graduate Ted at Fletcher’s Signal Station enabled him to be party to older teens and their conversations enable a discernment to the automotive hot rod world. 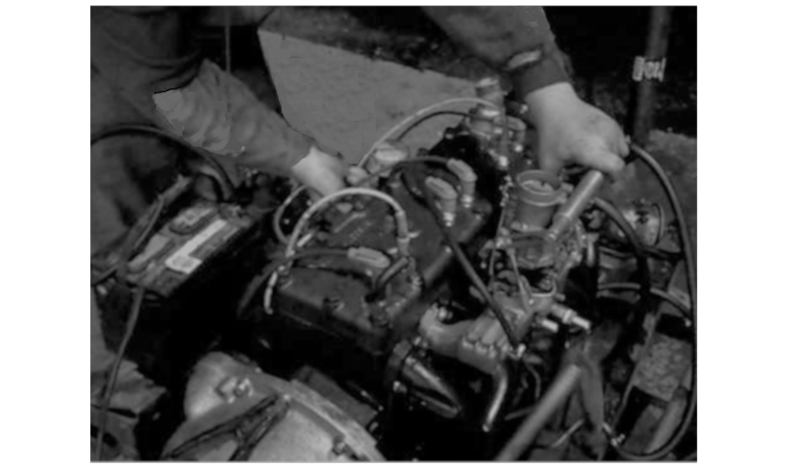 Gary having experienced the 27 metal pan screws that fastened the oil pan on a 41 Chevrolet pickup, having counted them, his Dad holding the pan in place so he could get them started. It wasn’t his favorite pastime, helping Dad, but ever since the 39 DeSoto needed a rod replacement, he was elected. His main objection wasn’t the assisting, it was the timing the teen objected to, it was always on a weekend when Dad decided to become a mechanic. The class finally reached the addendum to dwell into the mechanics of the engine and to some of his classmates there was disappointment, all the motors were Chrysler Product built six cylinder flat-head engines mounted on stands. Mr. Marinelly was adamant on the subject of safety and rumor circulated that during a previous class, a student failed to torque a rod bearing properly and the rod exited thru the side of the engine block nearly injuring someone. 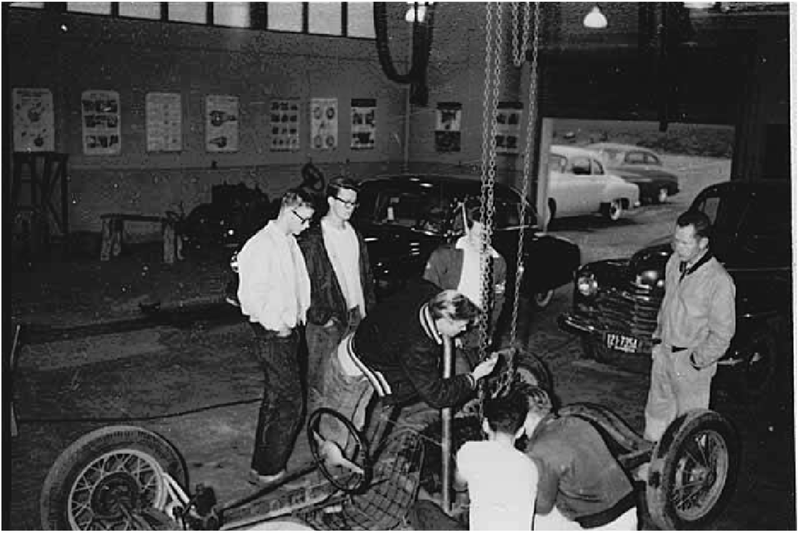 The students were paired into teams and the instruction commenced, learning to set the timing 5 degrees before TDC, replacing the points in the distributor, adjusting the carburetor and finally getting disassemble parts of the engine, exposing cylinders and valves. Gary was compulsive in his work and similar to his other vocational shops finding the learning experience fulfilling but recognized that he lacked the patience required of a good skilled mechanic but felt comfortable as the final grading period approached with the final exam on the horizon. The Teenager and his assistant, it was how Gary silently referred to the other half of the two-man team, having no difficulty completing the first of the two-part final. The first part was basic, remove the carburetor and the adjustment screws. The second part was to pull the pan, removing the bottom half of a rod bearing cap and insert. Inserting a gauging strip, replacing the cap and insert, torquing the rod nuts to the required tolerance, then removing it once again, measuring the gauging strip for tolerance and a final replacement of the cap and insert. The achievement of measuring the tolerance of the insert and assembly was 50% of their final grade. The second half would be determined by the number of attempts it took for the engine to start upon total assembly. Gary having come to the conclusion the real test would be replacing the carburetor air and fuel adjustment screws settings good enough so the engine would start and idle. It was no surprise, the class finding that no engine started the first time. The start test grade was determined by when the engine started, ” A +” if on the first try, “A” on the second, “A-” , then descending down to “F”. The course completed, Gary confirmed his mechanical skills were suitable, his “A-” a result of a little ingenuity, marking the carburetor adjustment screws and counting the number of turns when removing them. His automotive class experience provided the confidence of a measurable shade tree mechanic, knowing that desire trumps knowledge when acquiring a skill. No more high school english, it was News I & II in the eleventh grade and publications in the twelfth, the quest as a journalism major having commenced. 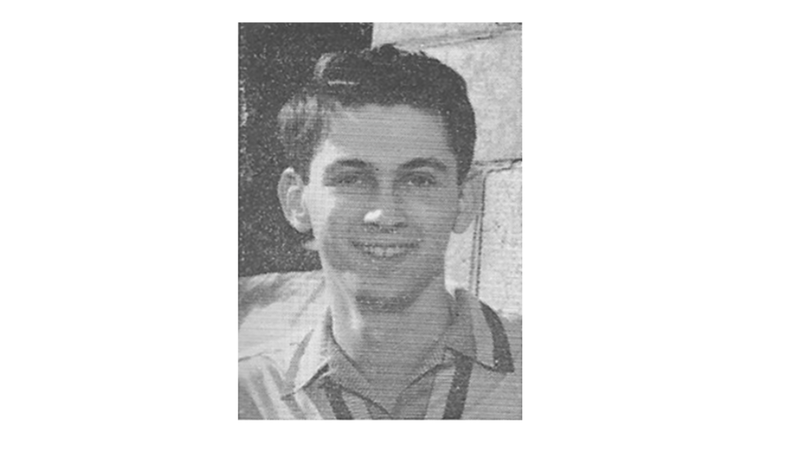 Gary’s interest in the school newspaper wasn’t limited to attaining his goal of becoming the sports editor, his query of journalism was more in-depth than reporting an event and he expected this class to be a conduit to learning the structure of written expression. The Teen soon discovering journalism study wasn’t about writing, but about perception, determination, separation and accumulation. This novice student sensing a new perspective was about to unfold. He was astonished when discovering only twelve students in the News I class, having never realized let alone subject to a class this small. The current Ye Castle Crier Publications Class was substantially larger with thirty-one staff members. What was Still astonishing was when the class instructor Mr Roland Christensen informed the class that he preferred his the journalism class to address him by his nick name Chris and that his regular english classes addressing him as Mr. Christiansen. Gary decidedly finding a place of residency in a castle, a champion assignment, an environment of social, political and entertainment activity, the journalism class opening doors to exhilarate a world of discovery. The syllabus for the News Class differentiated from the Publication class, the News Class subject matter included, terminology, the five “W”s & a H in reporting (what, when, where, who, why and how) and the insertion of Watch Words. It was Watch Words that intrigued the teen, Chris explaining how to recognize interpolation, the hidden meaning, the reading between the lines and the use of opinionated adjectives, watch words, to slant a factual sentence in an opposite direction. He stressed true journalism was writing characterized by a direct presentation of facts or description of events without an attempt at interpretation. The class examined various newspapers from different region of the country, finding examples of influence in all the periodicals. A strict rule of professional journalism was to be adherent, no opinion unless stamped with a byline, but with the political atmosphere of the rising of socialistic doctrine and communism the fringe opinions seemed to prevail, the byline rule being overlooked or lost on its trip to a publisher. Gary sensed a hierarchy was present within the senior publication staff, rather than judge what he perceived and as a new journalism student he thought it was more suitable to observe. Gary was somewhat critical of the sports editor Gordon Reitman, a non-sports enthusiast, questioning his position and reporting assignments, considering Gordon’s Crier sports page bland, like the daily city publications it was nothing more than another statistic page. He believed it needed personality, concluding that the sport arena was overflowing with unrecognized athletic student persona, it just needed to be publicized. The Cub Edition of the Crier, the sole responsibility of the beginning news class was in the composing stage and would go to press the following week. Gary volunteered to attend and write about the Varsity vs Facility basketball game. The teen realized his big opportunity and applied for a by-line on his sports article enabling him to editorialize his game reporting. He was determined to resist writing a sports column about the game containing only statistics. 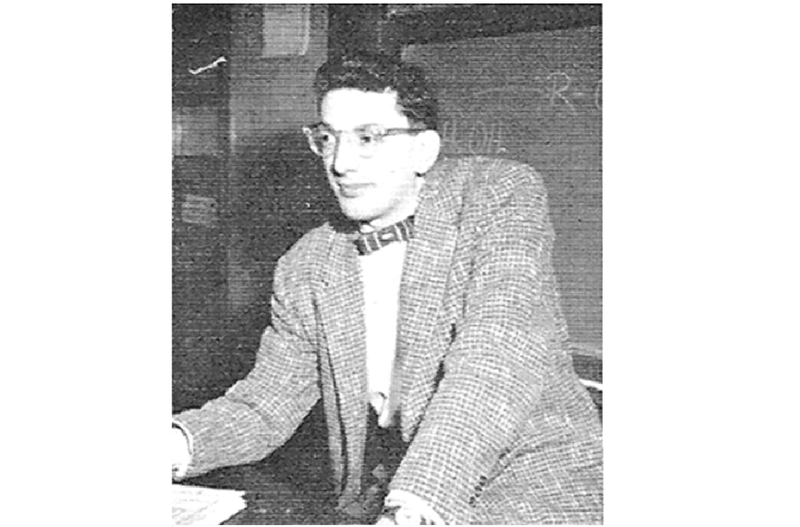 Ernest Spirakis was Gary’s Chemistry teacher and in his room, hanging in perpetuity by the door was a pair of tennis shoes. Every Friday Mr. Spirakis would make an announcement asking the owner to come forth and remove them, and every Friday there was no results. Gary jump-shot his faculty basketball story with the cap (headline), “Tennis Shoe Ernie Scores”. The article besides a statistical report of the game contained student antidotes about Mr. Spirakis and other faculty team members, all mentioned in good taste. The article being the talk of the school, the sports writer knew, this was a good beginning. The Ye Castle Crier newspaper office was across the hall from Chris’s regular classroom, it was small with two long tables end to end and two rows of typewriters, the office unoccupied most of the time. Gary when moving onto the Publication Staff found the Crier officer more convenient than to use his hallway locker on the other side of the building, the room providing a home for his sack lunch, books and papers. The aspiring journalist achieved another small reward, convincing Mrs Laws his third period Study Hall Supervisor that as a sports writer his time could be better spent in the Crier office and her being a P.E. instructor, she concurred. Lunch period in the Crier office followed study hall and this was followed after lunch with his regularly scheduled Publications Class, the three periods accumulating a significant amount of his school day in the Crier’s office which also enabled him to jump-start his other studies, namely homework. The Teen began to submit other stories relating to school news, presenting a number of imaginative prose to the feature page editor Yvonne Siedl for publication, but soon discovering after her editing, the focus of the story was totally lost. He approached Chris about this subject and other frustrations, hoping for some understanding , instead of comprehension he received an explanation, from it Gary concluded, that in the newspaper business there is a hierarchy, it’s called an Editor. You are currently browsing the Inquisitive Quest blog archives for March, 2017.